If you are looking for fine dining, poetry, yogic flying etc,this isn't the festival for you, but of you want 4 days of great music, you will be hard pushed to beat Y Not. Over the years Y Not has not only played host to some of the biggest indie bands, it has also identified up and coming bands who have subsequently become household names. This year's festival will host more than 100 artists on 10 stages and so much more, from Thursday 26th - Sunday 29th July at Aston Hall Farm, Pikehall in Derbyshire. 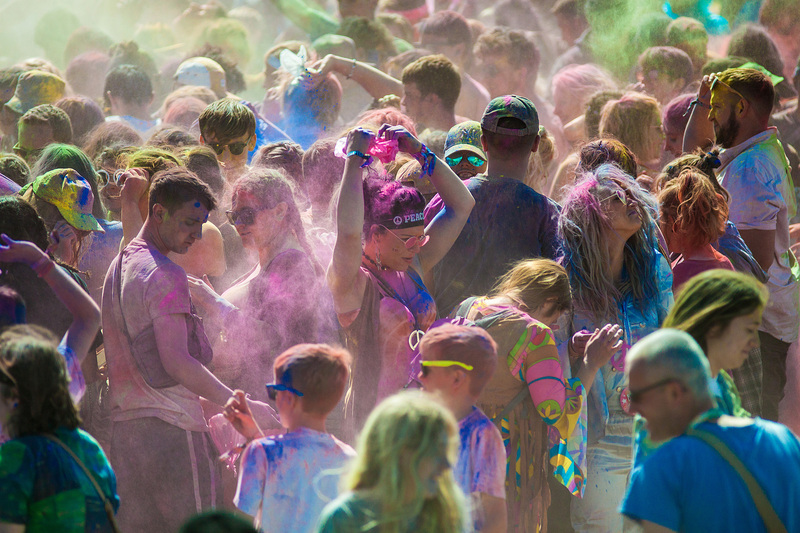 Here are 5 reasons why you cant afford to miss Y Not Festival. 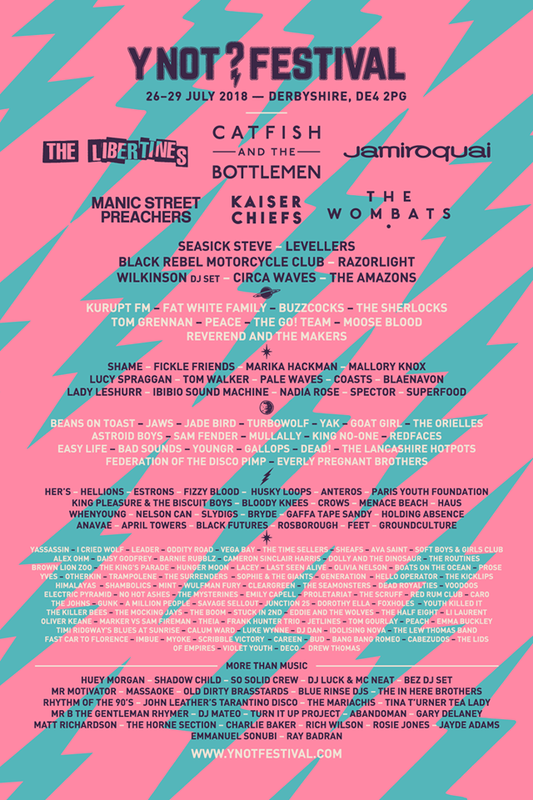 Y Not has a proud history of bringing some of the best indie bands to Pikehall and this year is no different, with many of the biggest rock bands of the past 3 decades including The Libertines, Manic Street Preachers, Kaiser Chiefs and not forgetting Catfish & The Bottlemen. Add to that the only UK Festival appearance of the pioneers of future funk Jamiroquai, and that’s just the Big Gin Stage. The Quarry plays host to a diverse range of music from Kurrupt FM to Black Rebel Motorcylce Club. Other artists include Saturday headliner Wilkinson DJ Set, Y Not favourite Beans on Toast, The Lancashire Hotpots, Lady Leshurr and Peace. OK, it’s only a 400 capacity arena, but, The Giant Squid plays host to bands that many alternative festivals would bite your hands off to get. This is the venue for guitar, bass and drums and this years line up is simply immense, with headline slots by The Buzzcocks, Fat White Family, Moose Blood plus the like of Spector, Mallory Knox, Turbowolf and Shame. The move may not have been far (the adjacent field), but the benefits will noticeable immediately, with 2 access roads, reducing queuing time. The site is 25% larger, so there will be more space in both the campsites and arena. I have also been told that the farmer uses the site to graze cows, unlike the old site which was for sheep, my farmer friends tell me that this will help with drainage, so much less mud if it rains. Following the issues experienced last year the festival has released a charter of the changes being made this year. Plus there's the late night entertainment, fancy dress, paint fight and the Y Notters themselves who just love to party.